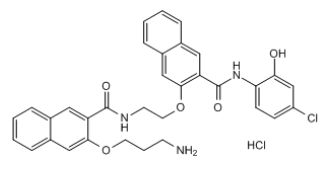 Potent and selective CREB inhibitor (IC50= 81 nM). Inhibits cancer cell growth, without harming normal cells (up to 1 μM). Completely suppresses tumor growth in a breast cancer xenograft model.